Apollo Creative are excited to introduce to you four brand new sensory products added to our sensory equipment offering. 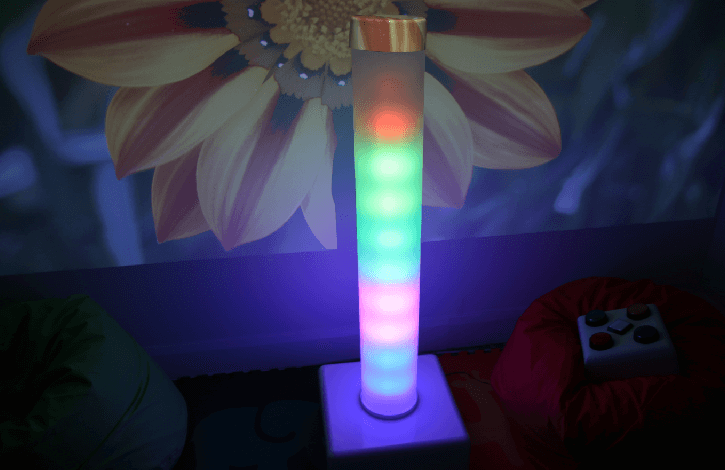 Our number one priority when creating the new range was for them to be maintenance free, providing you a hassle-free experience when adding them to your sensory room. The Air Tube is a great alternative to a bubble tube. Air is pumped through the base to activate small beads in the column, these beads then create patterns based on how you adjust the air flow. 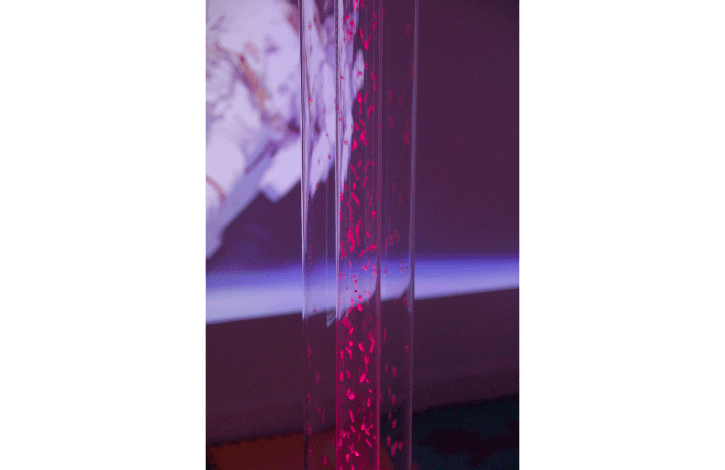 A very relaxing sensory experience, the air tube is available in heights between 1 metre and 2 metres. 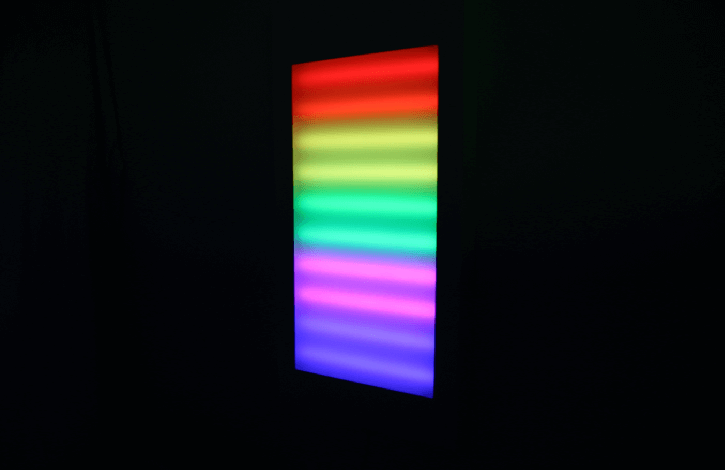 The tube also use lights to produce a spectrum of different colours that cycle through for further relaxation and engagement. The Disco Tube is a fun interactive way of using sounds that you make by clapping, stomping and playing music! 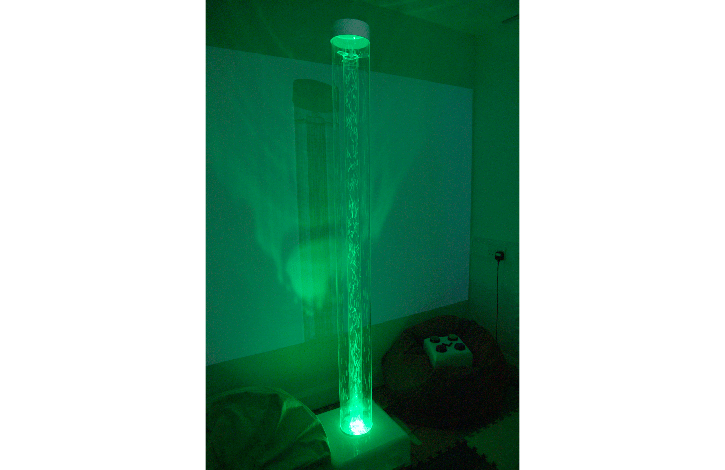 The more sounds you make the more the disco tube lights up using a stepping light feature. 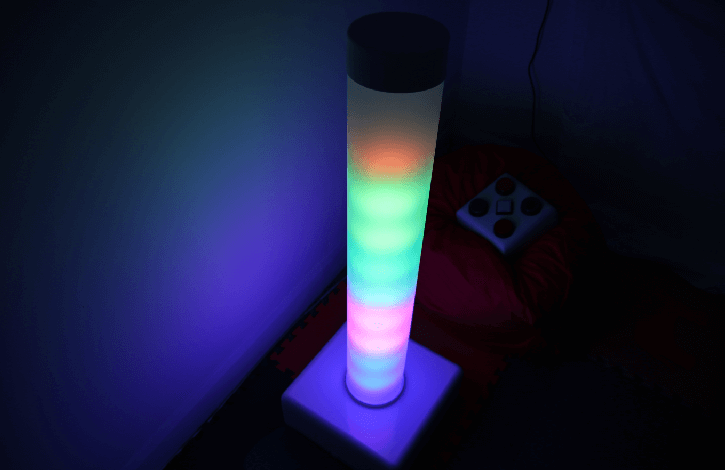 You can play your favourite sounds and music and enjoy the Disco Tube light up and ‘dance’ to your tunes. Similar to the Disco Tube above, the Interactive Sound Panel easily fits onto a suitable wall to create a fun and engaging sensory product. Use your own sounds and music and let the sound panel ‘dance’ to your music!